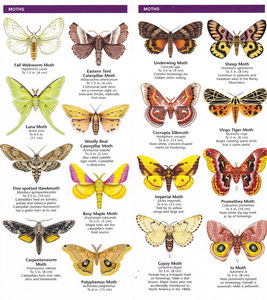 Pocket guide to familiar North American Butterflies and Moths. 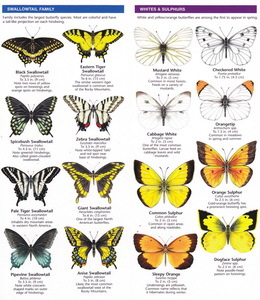 Shows the life cycle of a butterfly and moth. Also has them categorized by types like Brushfoots, Moths, Swallowtails, Whites and Sulphers, Skippers, and Gossamer-Winged Butterflies.